I posted about my APEX upgrade to 19 yesterday, and someone was quick to point out to me that they believed I hadn’t covered all of the steps. 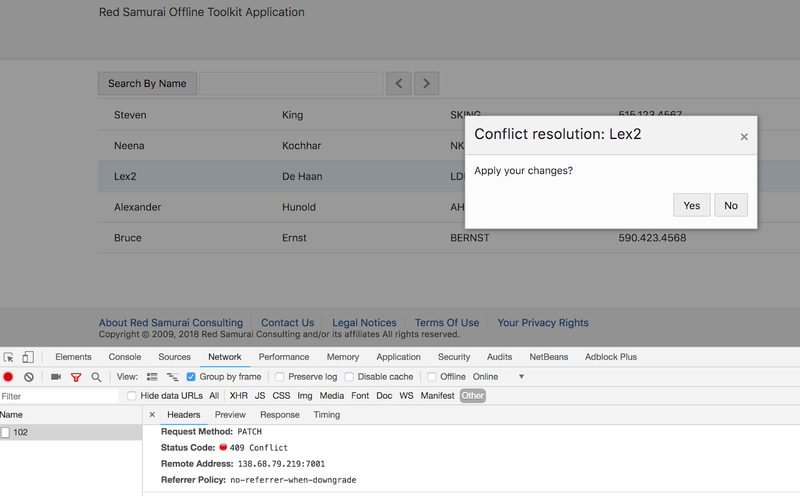 One of the key topics related to Oracle Offline Persistence toolkit - submitting client changes to backend when data conflict exists. If data was updated on the backend, while client was offline and client wants to submit his changes - we inform about the conflict and ask what client really wants to do. If client choose to submit changes, this means we should push client changes to the backend with the latest change indicator. On a recent installation we had problems serving APEX static files (application and workspace), they would always report a 404 not found back from ORDS. Of course I checked all required DB users and the ORDS config files, but couldn’t find anything obvious. Also no REST service defined in APEX would work. Blog reader was asking to provide a list of steps, to guide through install and run process for chatbot solution with TensorFlow, Node.JS and Oracle JET. Oracle JET Offline Persistence Toolkit supports offline update, create and delete operations. In this post I will describe update use case. Read previous post related to offline toolkit, where I explain how to handle REST pagination, querying and shredding - REST Paging Support by Oracle Offline Persistence in JET. 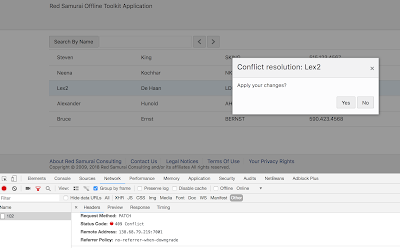 Oracle Offline Persistence query handler - Oracle Rest Query Handler supports pagination for Oracle ADF BC REST service out of the box. 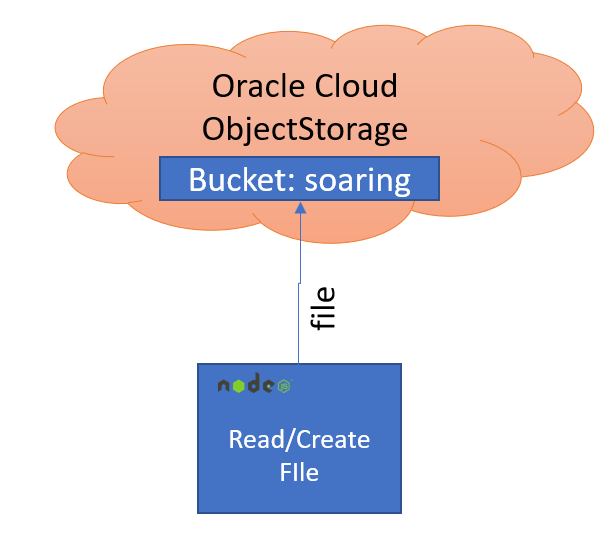 Check my previous post to see how querying works through offline persistence toolkit for ADF BC REST service - Shredding and Querying with Oracle Offline Persistence in JET. Pagination is a must for large REST resources, its great that Oracle offline persistence toolkit supports it. Let's see it in action.